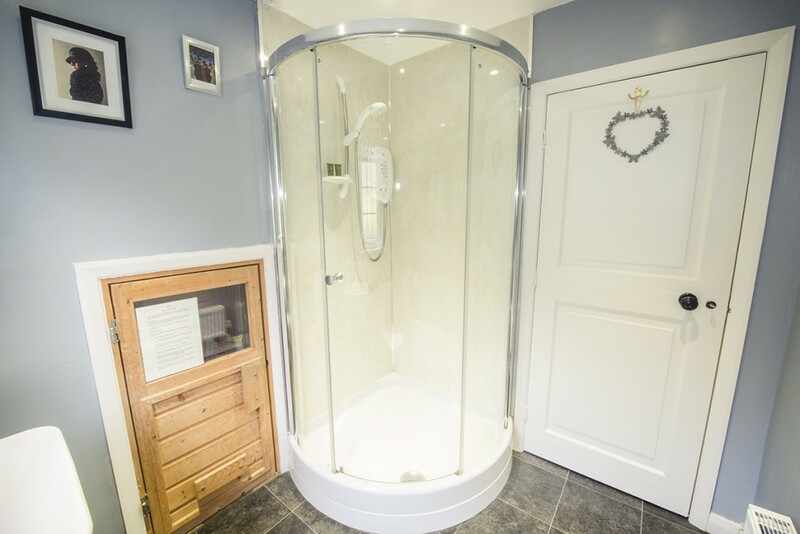 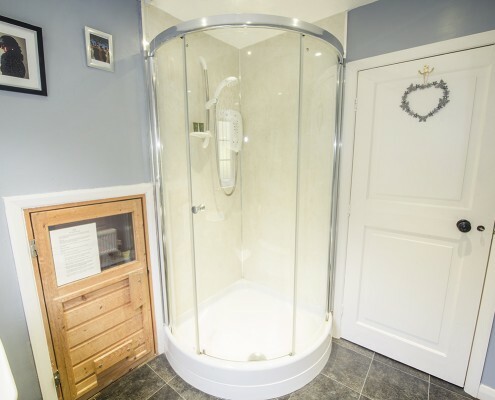 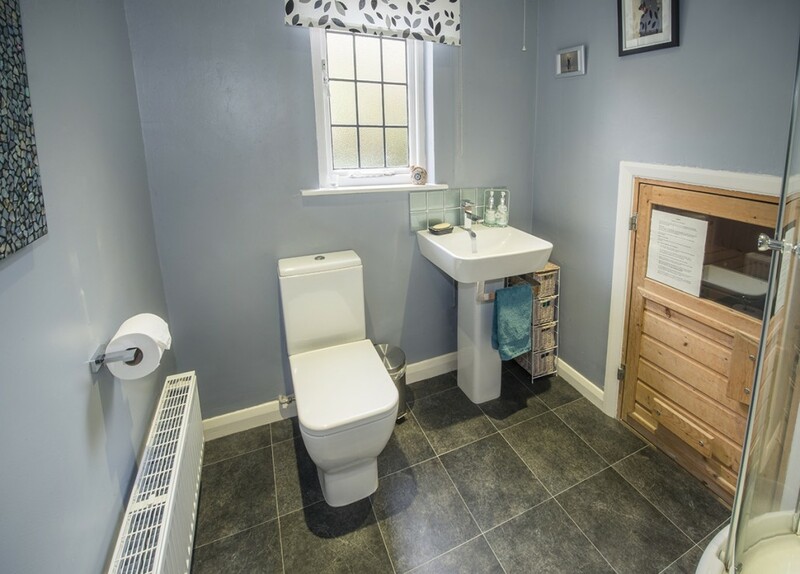 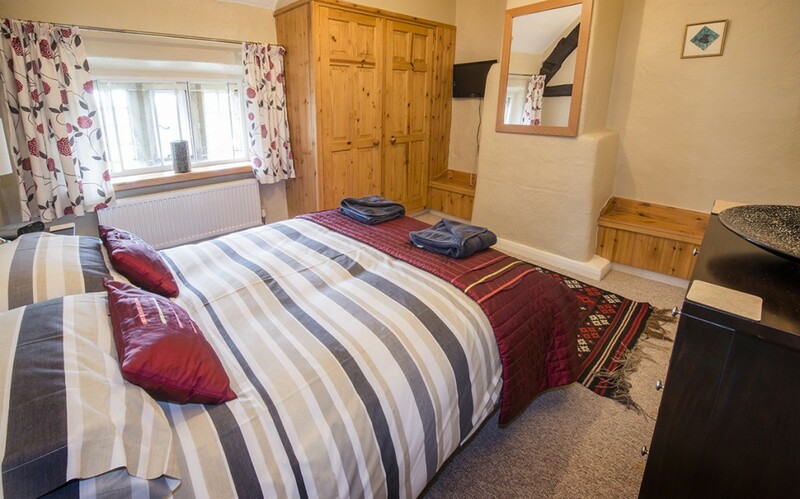 Hay Dale is a comfortable double room with a large shower enclosure in the shared bathroom downstairs. 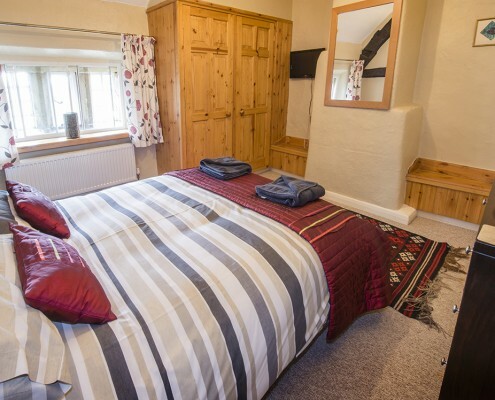 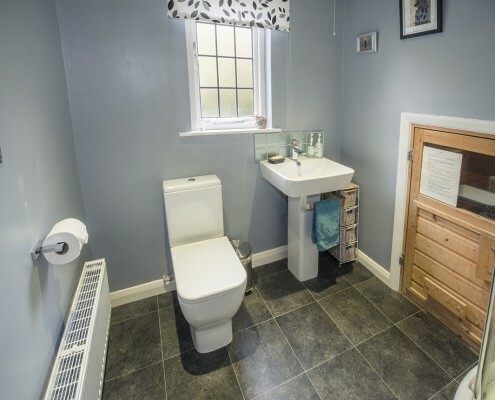 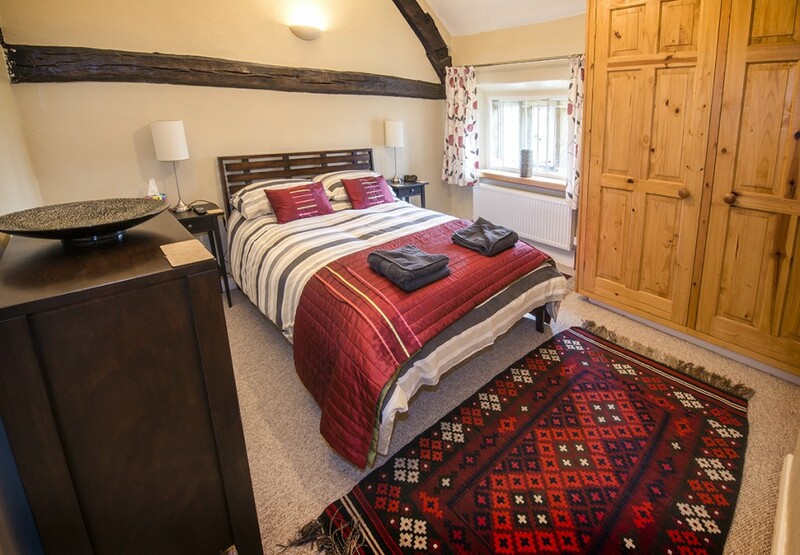 It has the same amenities as the other rooms, with the exception of the en suite facilities. 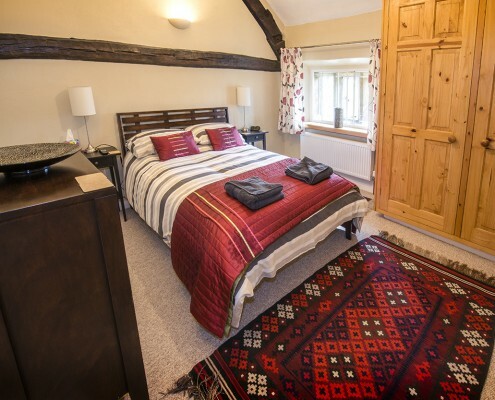 It has a lovely view through the mullioned windows across the garden and fields beyond.